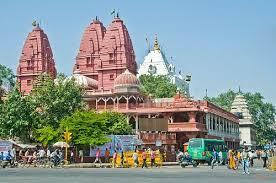 Here is Some Informationa about Sri Digambar Jain Temple in Delhi India. Location: Opo. of the Red Fort on the Netaji Subhas Marg, Chandni Chowk, Delhi. Sri Digambar Jain Temple is located at opposite of the Red Fort on the Netaji Subhas Marg, Chandni Chowk, Delhi.The temple was built in 1658 AD and built by Mughal Emperor time Aurangazeb.The temple is dedicated to Lord Parshvanath Swami and Lord mahavir Swami.The temple is Known as Lal mandir.The temple is made of red sandstone and its interiors are adorned with beautiful carvings, pure gold artwork and paintwork.Lal Mandir is primarily dedicated to Lord Mahavira, who was the 24th 'Tirthankara' of the Jain religion. The main shrine is sited at the first floor of this grand temple. It can be reached by taking a flight of steps, after crossing a small courtyard encircled by a row of pillars. 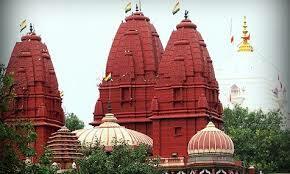 Besides the main shrine of Lord Mahavira, the temple has numerous other shrines. 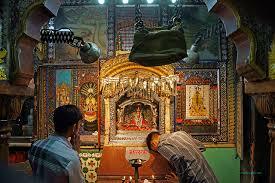 One amongst the other shrines is dedicated to Lord Adinath, who was the first 'tirthankara' of the Jainism. Lord Parsavnath is also enshrined here. One of the unique features of the temple is a medical center for birds situated inside the temple premises. Known as the Birds' Charity Hospital, this center is based on Lord Mahavira's message of - 'Live and let Live'. The temple has two storeys. The administrative office/inquiry desk, a publication centre & a shoe house is located on the lower floor. You cannot carry any leather items inside the temple & you would have to deposit your wallets, handbags (you got that right! ), belts etc. with the guard before entering the premises. Photography is also prohibited inside. On climbing up, there is a miniature model of the temple complex for your admiration. 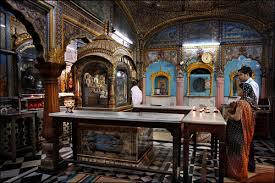 There are three main chambers inside where statues of various Tirthankars (prophets) of Jainism are placed. The most famous ones are of Lord Mahavira & Lord Adinath. The ambience inside is calm & peaceful as devotees pray quietly and light candles & lamps in front of the statues. An interesting way to pay homage to God can be witnessed as people offer rice grains in small portions. Old Delhi was founded by Mughal Emperor Shah Jahan (1628-1658) who built what is commonly known as the old city or walled city, surrounded by a wall, with the main street Chandni Chowk in front of the Red Fort, the imperial residence.During the Mughal period, the construction of a shikhara for a temple was not permitted. This temple did not have a formal shikhara until after India's independence when the temple was extensively rebuilt. The architecture of the temple is complete with elaborate engravings and paintings which only enhances the beauty of this ancient temple. The temple is built red sandstone.The main prayer hall of the temple is located on the first floor and can be reached by climbing to the terrace and crossing a small courtyard. 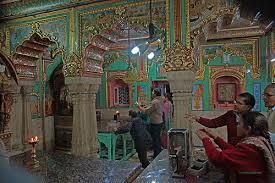 By Road : There are many public and private vehecals available to reach Sri Digambar Jain Temple Delhi. 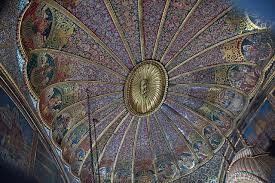 By Metro : The Nearest Metro station is Chandni Chowk station. By Rail : The Nearest Railway station is Old Delhi station.